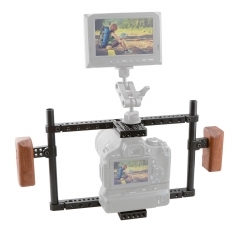 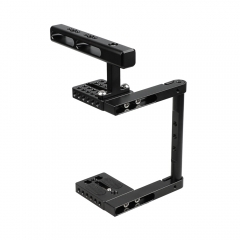 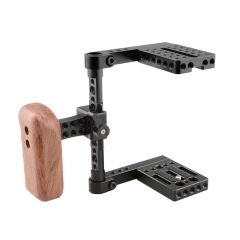 The top handle comes with a single rod clamp and a hot cold shoe mount, which allows extending and DIY. 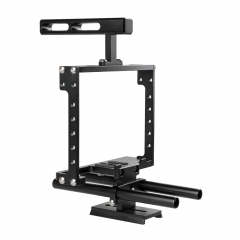 It also provides plenty of 1/4"-20 and 3/8"-16 threaded holes. 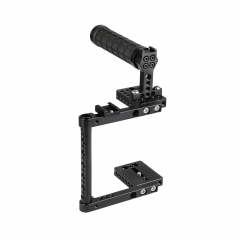 The side cheese rod is 197mm long to fit a DSLR camera with removable battery grip. 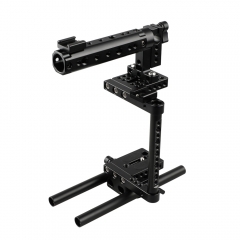 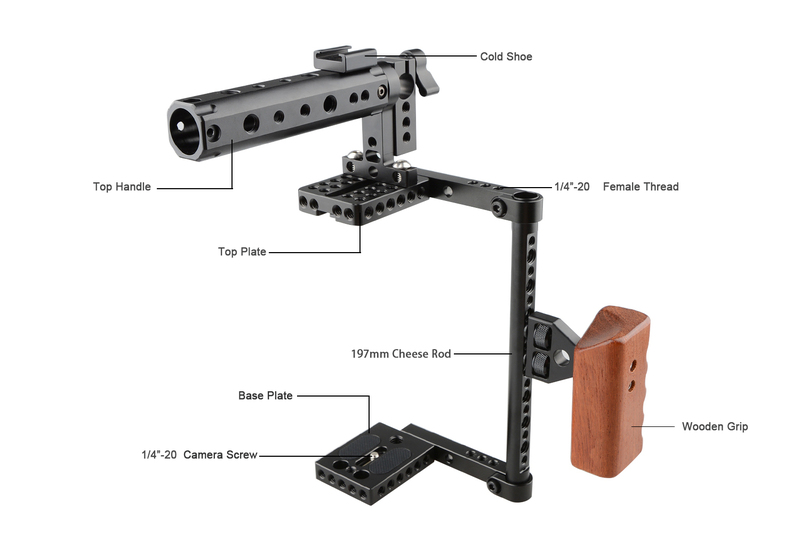 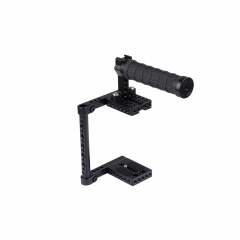 You could alter the top plate and baseplate to the opposite side to avoid blocking the trigger as you need. 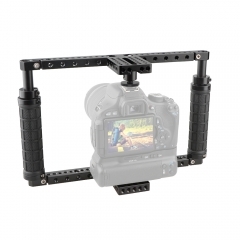 The cage with 197mm long cheese rod is perfect for your camera If you are using large-sized camera, such as Canon EOS-1DC, Canon 1DX; Nikon D3X/D3S; Sony a7/a7S/a7R/a7II/a7RII/a7SII (with battery grip); Panasonic GH5/GH3/GH4 (with battery grip), Fujifilm X-T2(with battery grip).